Clean Water: America’s Next Civil Rights Battle? Activist Engineers: The Solution to America's Water Crisis? 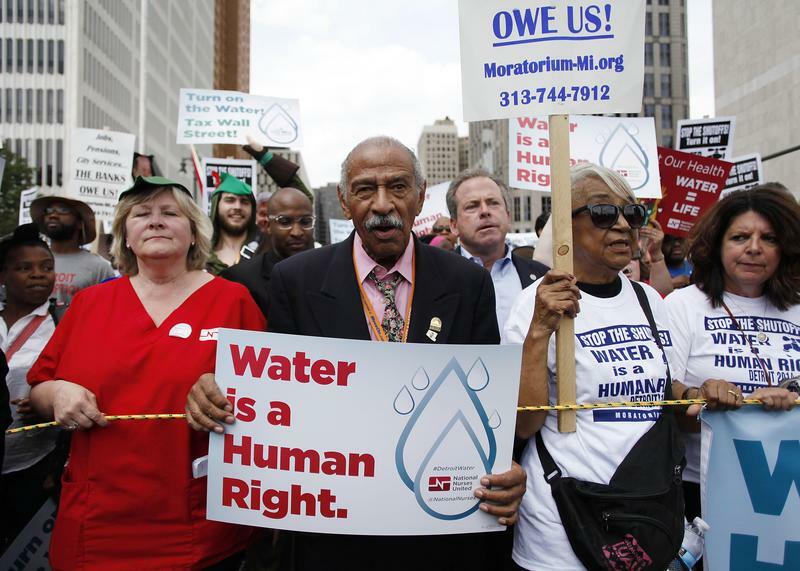 Congressman John Conyers, Jr., (D-Mich.) joins demonstrators protesting against the Detroit Water and Sewer Department July 18, 2014 in Detroit, Michigan.